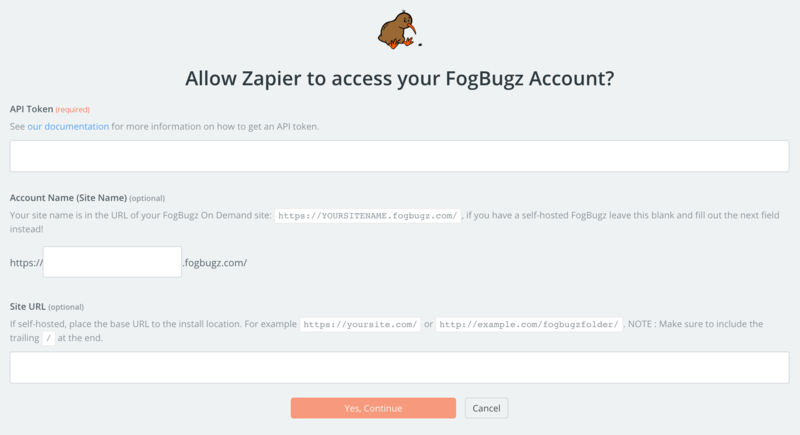 What FogBugz Triggers and Actions are Supported? New Case Event - Triggers when something happens to a case. The events that cause this trigger to fire can be customized. Note that the fields are and'ed. This trigger can be configured to only fire for cases in a named filter. New Tag - Triggers when a new tag is created. New Case (For Your Server) - Triggers when a new case is opened. Note that the fields are and'ed. If your FogBugz site is running Ocelot and has more than 50,000 new cases per hour, some cases may be lost. New Status - Triggers when a new status is created. New Person (User) - Triggers when a new person (user) is created. New Area - Triggers when a new area is created in a project. New Case in a Filter (For Your Server) - If your filter takes too long to generate results or your filter has more than 50,000 cases and your FogBugz site is running Ocelot, this trigger will not work. Create Area - Creates a new area in the project of your choice. Create New User - Creates a new user. Create Milestone - Creates a new project specific or global milestone. 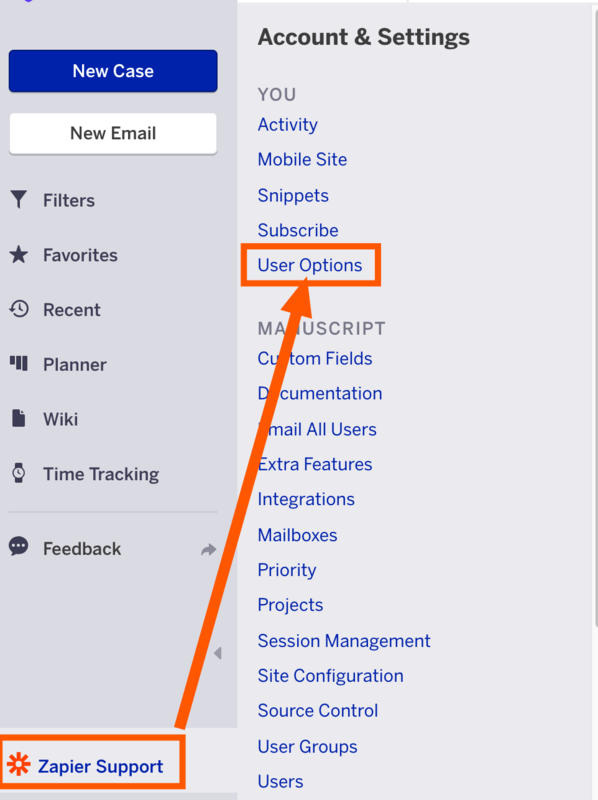 Create Email from Case - Sends a new email from an existing case if the "correspondent" field has not been set. Next, you'll be asked for your FogBugz API Token and Account Name. Once you've entered your API Token and Account Name and clicked continue, we'll test your account to make sure the connection works. If it does, you're all set!